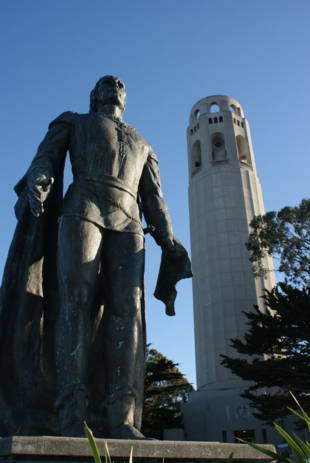 Coit Tower: With its magnificent views of the City (especially at sunset), this curious structure has become a favorite San Francisco landmark. It was donated in 1929 by Lillie Hitchcock Coit (an eccentric volunteer firefighter who ran around North Beach in men's clothing) to beautify the skyline. Inside, a mural created as part of Roosevelt's Federal Art Project wraps around the ground floor's circular walls, depicting the effects of the Depression on the Bay Area. Muni bus #39 takes you up the formidable hill, or you can hike east up the verdant steps on Greenwich--maybe you'll see the famous wild parrots along the way! There is a restroom available and water fountains to refresh you at the top, plus a small gift shop. 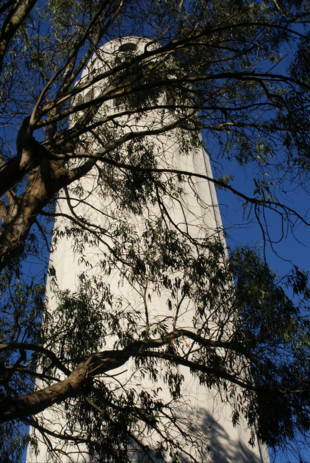 The Coit Tower phone number is (415) 362-0808. 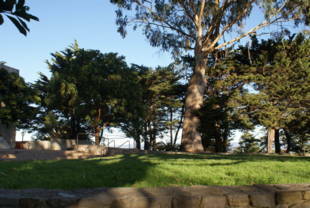 Pioneer Park is owned by the San Francisco Recreation and Park Department. 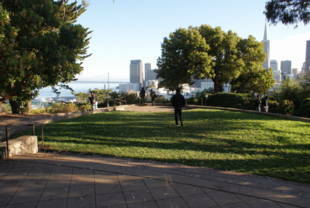 The roadway spirals up to the breathtaking view at the top, where Pioneer Park surrounds Coit Tower and crowns Telegraph Hill. Their histories are interwoven, but Pioneer Park, like the early residents for whom it is named, has had to battle for survival. When a storm destroyed the old Marine Telegraph Station which signaled approaching ships, lots on the hilltop became available for commercial use. To preserve them, a group of businessmen, including George Hearst, bought the 1.73-acre site for $12,000 in 1876 and donated it to the city, stipulating that the land be known as Pioneer Park, after the hill's first residents. Other purchases by the city enlarged the park substantially, and in 1877, the Board of Supervisors appropriated $5000 for improvements, consisting of a retaining wall and minimal grading. Source: Writings by Julienne Christensen, Randolph Delehanty, The Daily Examiner, 1888. 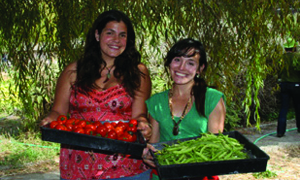 Civic clubs stepped in to save the day. In 1902, the California Club, the North Beach Improvement Club, and the California Outdoor Art League banded together to lobby for preservation of the hill. When a road to the summit was completed in 1923, public access became possible. In 1924, Lillie Hitchcock Coit, famed for her fascination with fires and firemen, died leaving $100,000 to the city. Arthur Brown Jr., the architect of City Hall, was hired to design the tower that bears her name. It was completed in 1933. Experts deny that it is modeled on a firehose nozzle. Over the last 60 years, tourism has worn the park down to the exposed roots of its trees. Drought, inadequate irrigation, and foot traffic have caused devastating erosion. Pedestrian access is limited, and endless lines of cars, their engines idling, queue up on Telegraph Hill Boulevard. In 1995, the Pioneer Park Project was born, just in time. The public-private partnership, involving the Telegraph Hill Dwellers, San Francisco Beautiful, the Department of Public Works, and the Recreation and Park Department has brought together a band of professional architects, landscape architects, designers, fund-raisers, and environmental educators, all working pro bono. They have drawn and refined plans to rebuild stairways, paths and terraces, restore natural habitat, and deal with the problems of erosion, safety and handicap access. The project has raised over $1.3 million from a combination of public funding sources, foundations, corporations, individuals, and the 'Step into History' plan, which offers individuals a chance to support Pioneer Park visibly and literally. Each $500 contribution entitles the donor to have his or her name engraved on a tile to be placed on a stair riser in one of the park's new staircases. Many have purchased them to mark a birthday, an anniversary, or memory of a loved one. Friends have created Donor Circles to honor Herb Caen, Pat Steger and others. Only 250 tiles remain to be sold, and questions should be directed to the offices of Freebairn-Smith & Crane at 415-398-4094. Construction is scheduled to start this fall as the park's urban pioneers carry into the millennium, the spirit of Pioneer Park's hardy ancestors.